LG has come again with great innovative at dominating the DJ Audio market all over. Powerful LG CM9960 is the latest offering form the company, which is sweet and simply the best in terms of features and performance. When we unpacked the case, we were so surprised with innovations. Read further our LG CM9960 Review to explore more about this powerful entertainment system. 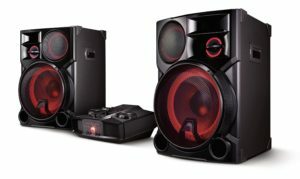 This new LG CM9960 has ground breaking 4800 watts, mighty enough to fill the dance floor or home cinema hall with loud music. Simply raise the volume and get ready for a groundbreaking sound experience with crystal clear audio and deep bass. The new LG CM9960 innovation has extreme-loud sound to take charge of your party ground. With this new product, you have nothing to worry about anymore. LG CM9960 entertainment system has powerful build party thruster controller. The thruster controller booms the sound and insane lights when the part touches its peak. This innovative technology from the market leader brings up live current to the intense party nights. Do you want to learn how to sing like a super star? Get LG CM9960. Thanks to its Karaoke Creator technology, it can turn you in to a rock star and impress your friends. The technology throttles out vocal frequencies of any songs and converts them to pure Karaoke. It can also adjust the vocal range to make any bathroom singers to sound like a star singer. Are you a DJ or learning to be one? Here is your opportunity to become a better DJ with the Crossfader feature of LG CM9960. The Crossfader helps you to become an impressive DJ by mixing two audio inputs effortlessly, the device produces seamless audio mix and amazing experience. 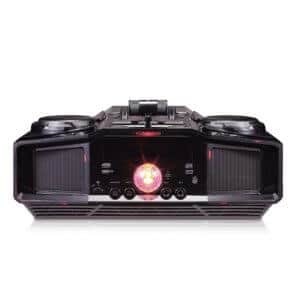 The LG CM9960 will also take care of dance lighting; the ultimate entertaining system has tons of useful features including pulsating dance lights. The innovative system synchronizes the dance lights perfectly with music rhythm, bringing up a heavenly DJ night experience. Another useful feature, no wires to battle with, the LG CM9960 supports Bluetooth wireless streaming. Adding to the excitement, anyone can create and add songs to group playlist from their smartphones on the fly. This feature too is seamless and impresses your guests. The device also has USB 2.0 port to playback audio tracks stored on flash drives. Overall, with CM9950 entertainment system, LG has a clear leader product in town and this is value for money. Its innovative features and unbelievable performance expected to assure maximum satisfaction to its users. Do you organize party nights frequently? LG CM9950 is the right product to consider buying. Visit Here for a closer look..
Great post. I had no idea that LG was also a leader in entertainment systems too. I just thought their phones were the best. Although, the LG CM9950 does seem like a great system to have if you’re going to be doing some entertaining haha. Hope to follow more of your posts.